Does this need a border or not? Thread: Does this need a border or not? I just finished this quilt top. I need press, trim and either add a border or binding. I sort of think it needs a border, what do you think? I see tumbler quilts with and without. I think it could use it to make it a bit larger, still a bit small I think. 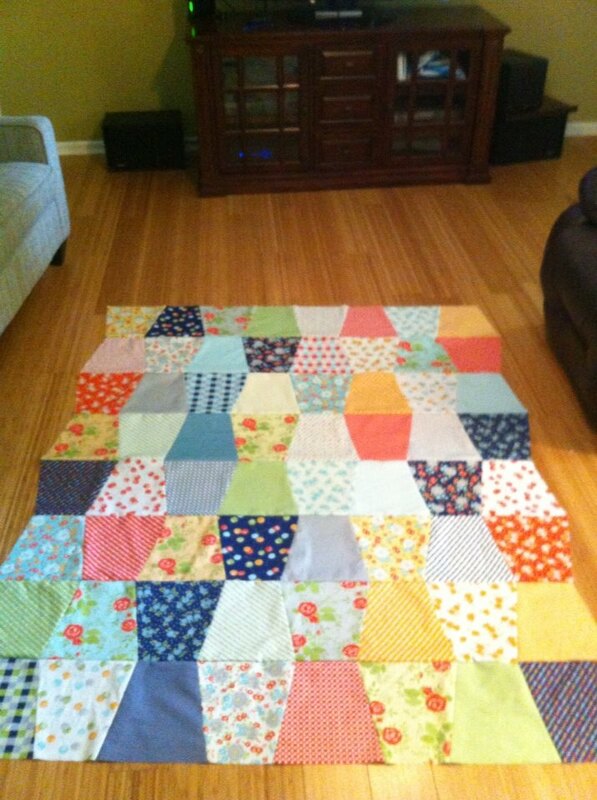 Tumblers with or without a border in general and what about this quilt? I only have my quilting frame set to 10 ft. I have to be careful to keep it small enough to quilt myself too. if you want to make it larger than either more tumblers or a border would make that happen- only you can decide if it needs it or not-it's a personal choice. you could if you wanted to add a border by appliqueing the top onto border fabric which would 'square up' the top without having to cut your edge tumblers. you said you need to add either a border or binding ??? generally binding is added around the edge of a quilted quilt to finish the edges of the quilted quilt sandwich...so, even if you add a border- you will still need to bind your quilt after quilting it. I just finished a tumbler quilt for a young girl at church and I added a 1 inch border, a 2 inch border and a 4 inch wider border. I really liked the way it turned out. I am going to put minky on the back. I like doing tumblers, it goes together fast but I take longer trying to decide where to place the tumblers. You could a one more Tumbler in all the same colour all around the edge to form a border. You could either bind the edge with the angles or cut the edge straight going through the last row of all one colour tumblers. What size it now and what size do you want it? I think border (s) would look nice and finish it off How many borders and how wide depend on how big you want the top to be. I think it's purely personal preference. Add more tumblers, or add a border - just be sure it's the size you want. Either way will look beautiful. I think adding a solid tumbler for the last one all the way around is a good idea, I never thought of that. I like your quilt! I am no help with the border question though. I think it would look good either way. I think adding one more tumbler in solid color for boarder is a great idea! I usually add borders to make the quilt the size I want. So, I guess, it's really your choice. I would add a border on this one. I can see a plain border with applique using all those fabrics. There is a tutorial on this on MSQ and she puts a border on it but I forgot how she did it. I think Tartan's idea of framing the scrappy tumblers with a a solid or coordinating small print tumbler border all the way around is great. Then bind the shaped edges in another contrasting color. I think one solid border color would look great. Just me but I think darker would work. Like the darkest patterns if you have enough. Darker would make the colors pop! I like it with borders. 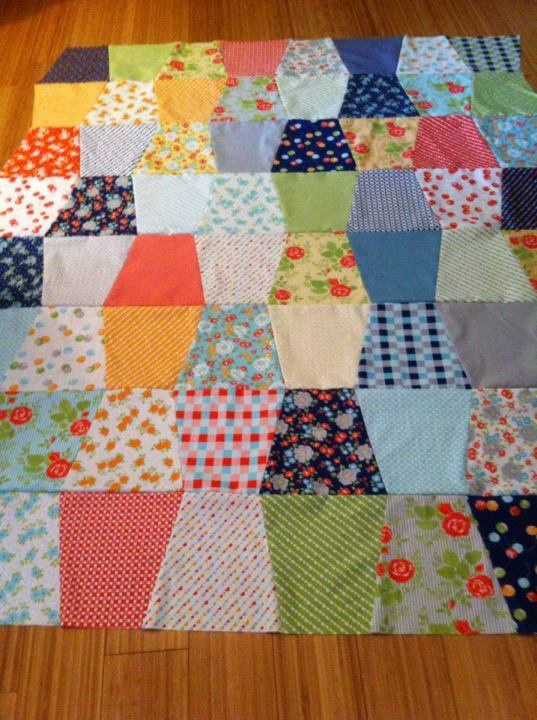 You may want to,add another row of tumblers all around the quilt. Great job. Test it. 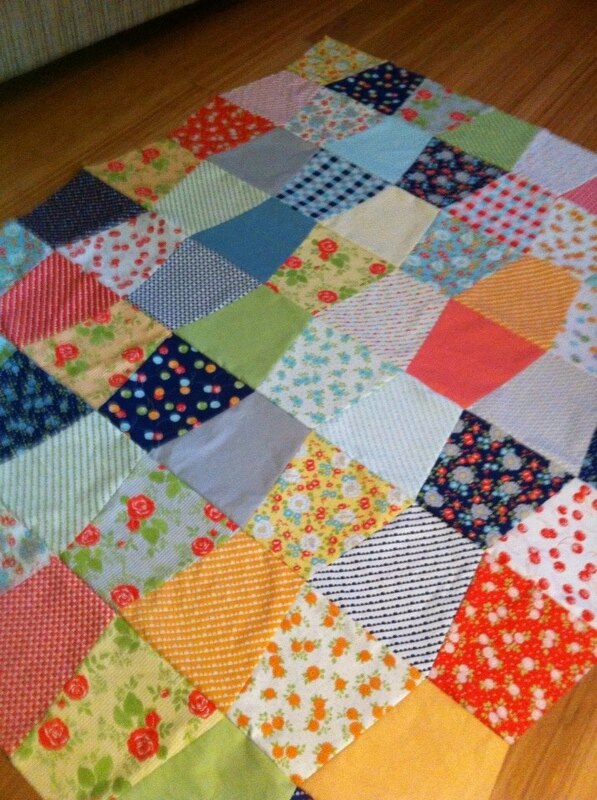 Even if you don't have the perfect fabric for a border, if you have something close, lay it down under the quilt top, maybe just on 2 sides. Compare the sides with the border and without. Stand back, look from different angles, walk away for awhile and look at it again. Personally I like it as it is, but it has to be what you like. It's up to you, for some reason I like it without, looks fine. Lots of god suggestions, let us know what you decide.